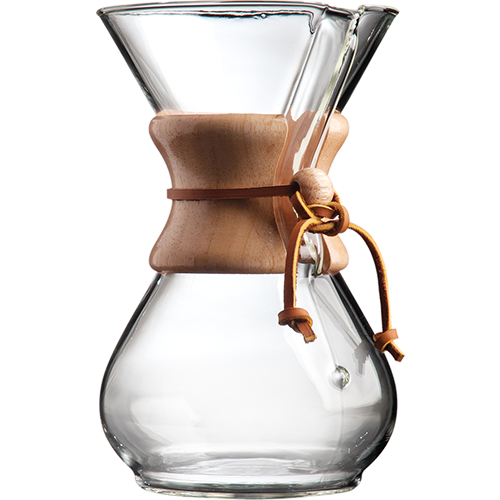 Chemex Classic Coffee Maker delivers the purest flavor experience if they may say so themselves. The "brewer" is made of non-porous borosilicate glass that does not absorb odor or taste which results in a clean brewing every time. The Chemex Classic Coffee Maker is easy to use with timeless, elegant design.